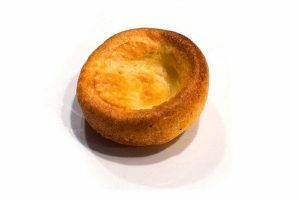 British Yorkshire Pudding Day – yes there is such a thing! – takes place on Sunday, 5 February and the British Hen Welfare Trust (BHWT) is asking the nation to go free range to celebrate the occasion. Can you rise to the challenge? The Yorkshire pudding first got its name in 1747 and was traditionally served without meat. For those looking for a slice of the action there are some eggcellent free range recipes out there including even strawberry and cream Yorkshires! 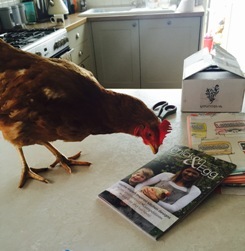 The British Hen Welfare Trust is well-known for its pioneering work in re-homing commercial laying hens and, through its nationwide team of 450+ volunteers, has found homes for more than 550,000 hens since hatching in 2005. 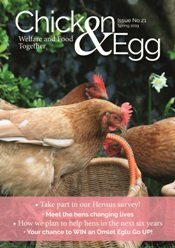 As well as finding homes for hens, the charity also educates the public on how they can make a difference to hen welfare through their shopping basket and eating habits. So, this British Yorkshire Pudding Day, support your local British free range egg farmer and pop a half a dozen in your shopping trolley. Anyone interested in giving a few down-on-their-cluck hens a second chance is urged to call the charity’s re-homing team at Hen Central on 01884 860084, or email hens@bhwt.co.uk.